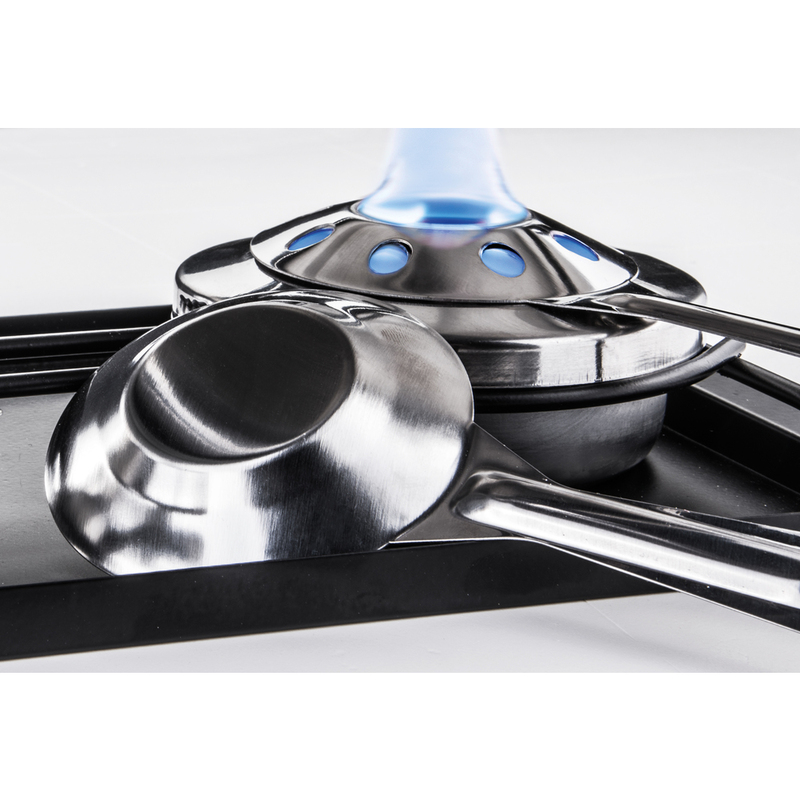 This stainless steel fondue set with grill stone is excellent for the preparation and stylish serving of not only meat fondue. 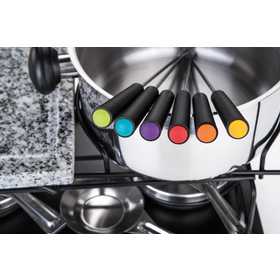 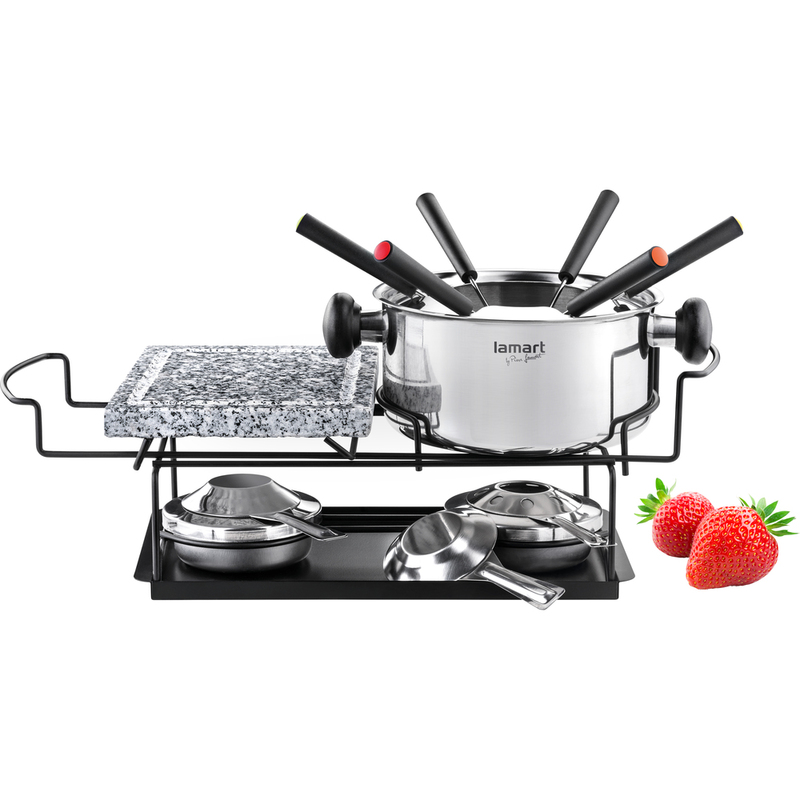 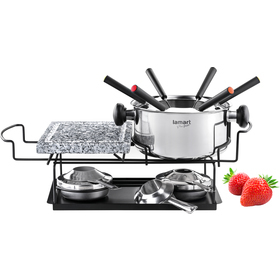 The set includes: a stainless steel cooking pot, grill stone, 6 colourful forks, fork holder, stand, 2x burner with lid and platter. 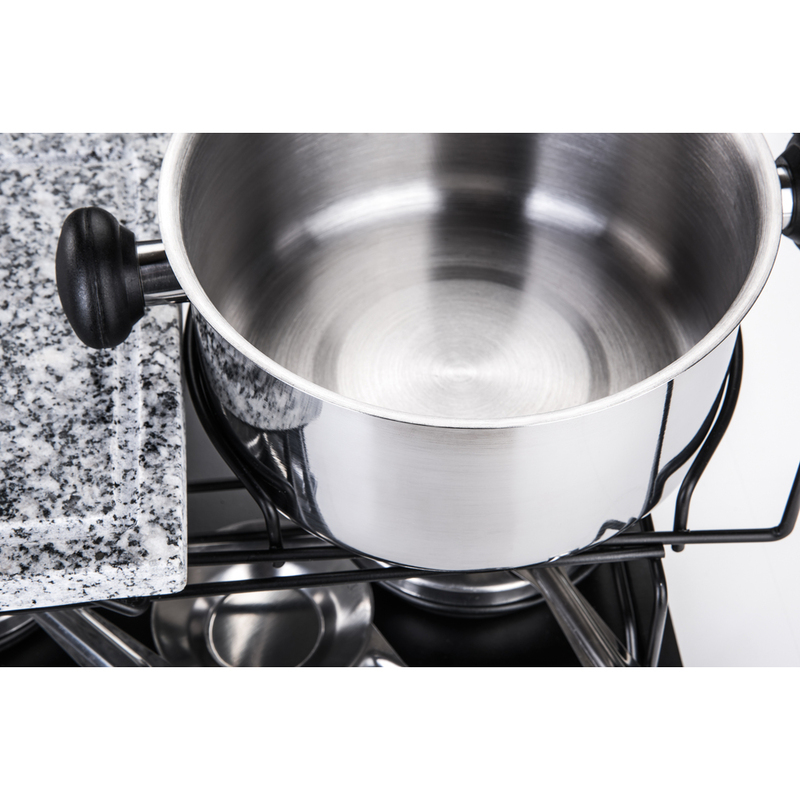 Made from first-class steel and granite stone.